In today’s fast-paced culture, consumers are so inundated with marketing messages that many become numb. The environment has made it increasingly difficult for brands to authentically engage their customers, prompting a more primal approach to experiential marketing. Rather than overwhelming consumers with more data, many companies are now offering multisensory customer experiences in an effort to foster organic emotional connections with their brand. The strategy has been effective within a variety of demographics, including the ever-coveted Millennial segment. A recent study by Oxford University revealed that 70 percent of Millennials in the U.S. seek experiences that stimulate their senses, with more than half admitting that they feel increasingly disconnected from the physical world. Here, a look at five brands leveraging multisensory marketing strategies to give consumers all the feels. 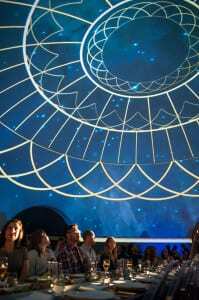 A 360-degree film was projected inside the dome during the Sensorium experience, reinventing diners’ sense of space. Stella is a frontrunner in the multisensory movement. Last September, the brand launched the Stella Artois Sensorium—a first-of-its-kind five-course meal meant to challenge diners’ senses of taste, sight, smell, sound and touch from start to finish. The inspiration for Sensorium began with Stella’s iconic glass chalice, which was designed to enhance consumers’ senses as they sip the Belgian-style lager. To expand that concept into an interactive, multisensory dining experience, the brand brought in a team of sensorial experts, led by Richie Farina, a celebrated chef renowned for his cinematic flair. Also included among the sensorial experts were Nyles Miszczyk, a record producer and musician who lent original compositions spanning multiple genres to the experience; Dr. Irwin Adams Eydelnanat, who infused the space with aromas meant to trigger memory and emotion among attendees; and filmmaker Jamie Webster, whose original 360-degree film was projected inside the venue, reinventing diners’ sense of space. Throughout the dining experience, all five senses were stimulated. The first course, for example, featured an edible garden growing down the center of each table. Not only did attendees have to forage for their own salads (shovels were provided), they were handed test tube-like containers to pour a liquid-based ingredient onto the dish. Meanwhile, a string quartet elevated the sense of sound amid lush garden imagery, as servers used misting bottles filled with an herbal tea blend to create the aroma of morning dew. Each course to follow offered another surprising twist on sensory engagement. 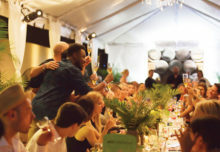 Sound: The event featured live performances by singer-songwriters Kevin Garrett and Luke James, while a dj spun tracks in between sets to keep the energy high. In addition, Patrón’s partnership with Rolling Stone gave attendees the opportunity to view the magazine’s “Mastering the Craft” documentary—a six-part series highlighting the artistry of singers and songwriters—using noise-canceling headphones in kiosks scattered throughout the venue. Taste: Kris Yenbamroong, chef and owner of West Hollywood’s Night + Market restaurant, was on hand serving some of his most popular dishes and pairing them with the appropriate tequila counterpart. Desserts were infused with Patrón XO café, the brand’s sweet, coffee-flavored liqueur. Scent: Four prominent L.A. bartenders concocted Roca Patrón Silver, Reposado and Añejo cocktails with spiced rims as they slung beverages from behind customized barrel bar stations. Within the same space, Patrón offered a bar where attendees could pick their favorite rim spices. A brand ambassador then used a mortar and pestle process to complete the personalized blend and gave it to the guest to take home. Sight: For the first time, Patrón unveiled its Art of Patrón Virtual Reality Experience through four stations featuring Oculus technology. Once inside the virtual space, attendees took the point of view of a bee (Patrón’s logo) and played witness to the tequila-making process at Patrón’s distillery in Mexico. The engagement even included the scent of freshly baked agave, which was piped into the virtual reality space for a truly sensorial experience. Touch: Guests were invited to decorate a Patrón bottle that showcased their own interpretation of the Art of Patrón theme. In addition, a five-foot replica of a Patrón Silver bottle made up of 40,000 crayons was on display. Attendees were encouraged to color their favorite cocktail, add it to the space’s artwork wall and post it to Instagram (Agencies: Abel McCallister Designs, Los Angeles; VOX Productions, Los Angeles). At Art of Patrón’s spice bar, attendees could mix their favorites into a custom blend. Jack Daniel’s fictional brand ambassador Jake the Janitor engaged attendees inside the Motel. The world’s best-selling whiskey brand in November launched Motel No. 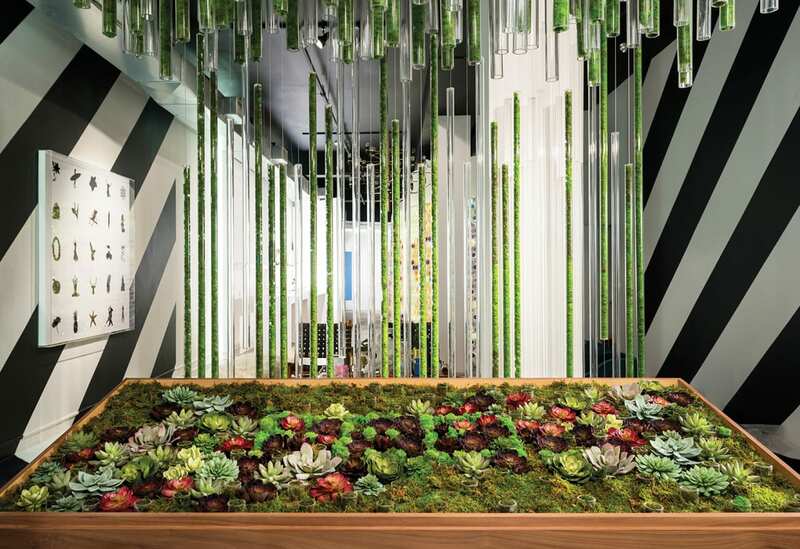 7, a pop-up that offered an immersive, multisensory experience inside a quirky hotel setting. The moment attendees checked into the two-story motel’s “office,” they were met with more than 25 shareable photo engagements. Nearby, “Jake the Janitor” had guests pull up a cot and join in games with luggage from the Lost and Found, while swimsuit-clad Pool Sweethearts beckoned guests to take a dip or lounge poolside with a cocktail. In a nod to Jack Daniel’s Lynchburg distillery, the rustic Bung Donut Shop served up fresh, whiskey-infused donuts and hot toddies. There was also “Kevin the Barrel Maker” who demonstrated his craft and educated attendees on charcoal mellowing while an artist created charcoal drawings of the motel’s social posts. Other engagements included the Jack + Jim gallery, which paid tribute to the late music photographer Jim Marshall, along with a pillow fight room, a bachelorette karaoke activity and djs who spun tunes on the main stage before the headliners revved up the crowd. “We know today that consumers now more than ever are looking for experiences–they are looking for moments of delight, tangible face-to-face interactions. 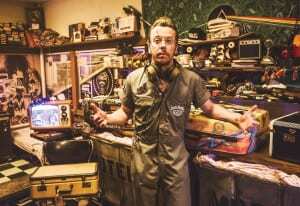 That’s where we saw a space for Jack Daniel’s to provide these key moments all under one roof,” says Jesus Ostos, U.S. brand manager at Jack Daniel’s (Agency: Mirrorball, New York City). –S.O. Inside the Airstream, consumers could engage with spices displayed on a custom table, learn how Plated ingredients are delivered and acquire cooking tips. The upscale dinner delivery service put its meals on wheels for the nine-city Road to Discovery Tour, which brought the brand’s pre-portioned seasonal ingredients and original recipes to consumers across the country on a retrofitted 1970s-era Airstream trailer. 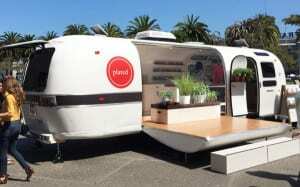 To begin the experience, consumers explored and inhaled the scents from an installation of living herbs located on the exterior of the trailer. Next, they were welcomed into the vehicle and asked to take a personal flavor profile quiz on an iPad. Based on quiz results, visitors received a recommended herb blend, along with a sample of the blend in a branded spice jar. Participants were then encouraged to explore the rest of the Airstream’s interior where they could engage with spices displayed on a custom table, learn how Plated meals and ingredients are delivered and acquire cooking tips via a flatscreen TV. The tour also included daily cooking demonstrations led by Plated’s culinary team, while several tour stops also featured guest chefs from local restaurants who provided step-by-step preparation techniques and tasty fare for sampling. “There’s inherently a level of skepticism around ordering [our product] so [the tour] is a way to give people a way to see and touch and feel the product itself and watch it being prepared from box to plate,” says Rachel Horowitz, director of business development at Plated. “I think it was a way to tell the story in a more meaningful fashion” (Agency: TH Productions, New York City). 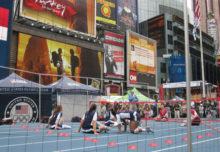 Multisensory marketing is also effective outside the food and beverage space. Glade last winter hosted a sensory-themed pop-up in the Meatpacking District of Manhattan featuring five unique experience rooms inspired by Glade fragrances. Messaging throughout the pop-up asked, “What Will You Feel?” while each of the environments invited attendees to interpret the brand for themselves. Inside the “Feelings Lounge,” stylish furniture was featured, along with a table full of accessories attendees could examine that drew parallels to scents being promoted. Just beyond the lounge, attendees encountered a mosaic made of 1,500 Glade candles designed by architect Stephanie Goto. 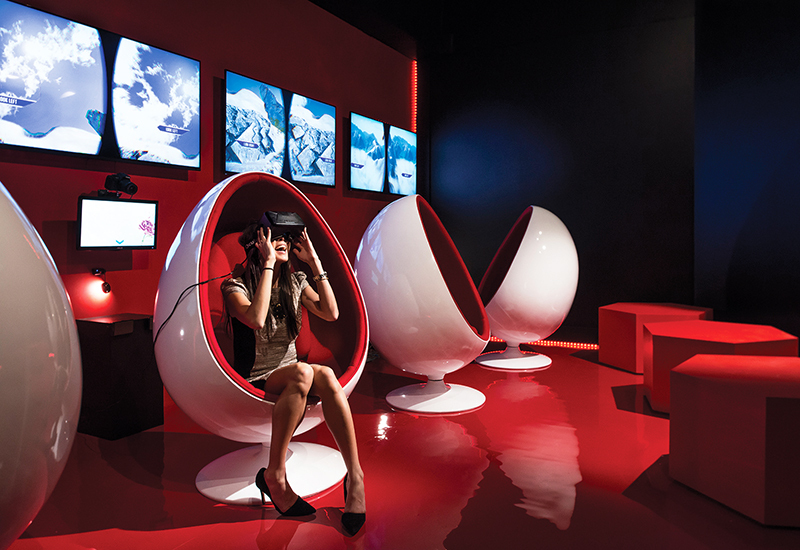 The “Energize” room featured an Oculus Rift virtual reality experience that took consumers soaring through a field of Red Honeysuckle Nectar, one of the scents being promoted. Likewise, the “Fresh” room promoted the Clean Linen scent with a childhood-inspired dream sequence, bubble machine, the muffled sound of children laughing, clouds and kites. In the “Relaxation” room, attendees walked through a larger-than-life conch shell on a sandy surface where a warm breeze blew and ocean sounds played in the distance. Meanwhile, the “Flirty” room (inspired by the Blooming Peony and Cherry scents) featured a dress sculpture designed by fashion designer Pamela Dennis and a room full of luxurious accessories to pose with. Finally, the “Anticipation” room promoted the scent Sparkling Spruce and featured mounds of faux snow, hanging spruce branches, a snow machine and an ice bench. Each room also featured a photo activation driven by a scannable card. Throughout the experience, guests were invited to share photos with the hashtag #FeelGlade (Agency: Geometry Global, New York City). –R.K. The “Energize” room featured an Oculus Rift virtual reality experience that took consumers soaring through a field of Red Honeysuckle Nectar.